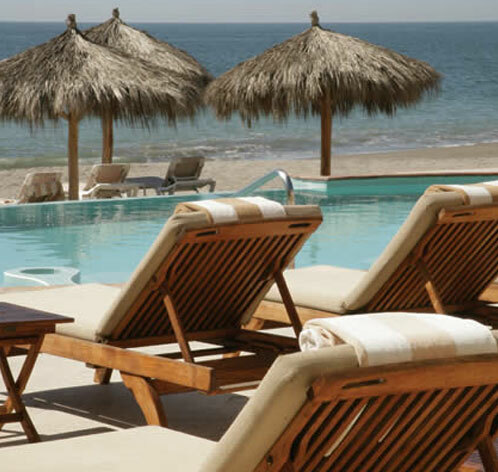 Nestled away on the beautiful Marina Vallarta golf course in Puerto Vallarta, Mexico, Casa Velas welcomes you to enjoy the comforting sounds of nature as you relax in your private plunge-pool or splash around in the pool or Jacuzzi at our beach club. The Spa offers indulgent massages among many other treatments and the fitness center offers state-of-the-art equipment and workout classes. This luxurious adult only all-inclusive boutique hotel, is a peaceful oasis that combines Conde Nast and AAA award-winning service and hospitality with the pleasures of a romantic and intimate atmosphere.